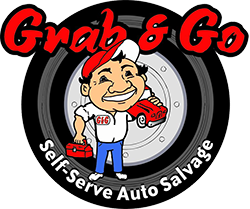 Grab & Go Auto Salvage maintains fresh inventory for our customers. In order to do this, we want to purchase your used, wrecked or junked automobile. Fill out the form below or call us today to sell your vehicle. ANY MAKE, MODEL OR CONDITION!